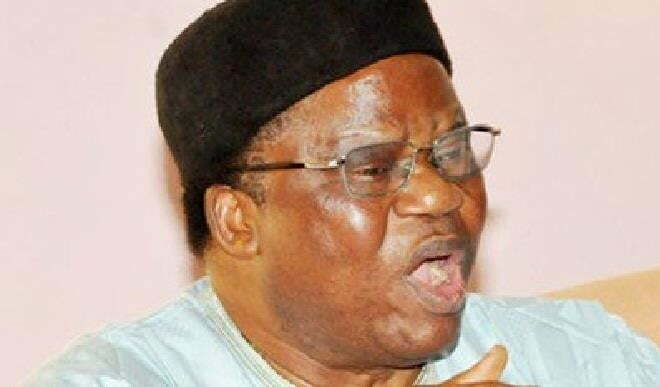 Prince Tony Momoh, a national leader of the ruling All Progressives Congress (APC ) and former Minister of Information in this interview with TEMIDAYO AKINSUYI speaks on the controversy trailing the suspension of former Chief Justice of Nigeria(CJN), Walter Onnoghen and other issues. It is not what I think but I know what the law says. Section 172 of the Constitution says that every public officer at the federal level will abide by the provisions of the 5th Schedule. The 5th schedule is the Code of Conduct provision in the constitution. Then Section 209 says that every public servant at the state level will abide by the provisions of the 5th schedule. The first part of the 5th schedule creates the Code of Conduct Bureau (CCB) and the Code of Conduct Tribunal (CCT). Part 2 states those who are subject to the Code of Conduct Bureau and the Code of Conduct Tribunal. The first on the list is the President and the Vice-President. Going down the line, you will see the Chief Justice of Nigeria and other judicial officers. Going down the line, you will see the President of the Code of Conduct Bureau and the Chairman of the Code of Conduct Tribunal. All public officers both at the state and federal level are subject to the provisions of the Code of Conduct. Before they take office, they swear to abide by the provisions of the Code of Conduct. Whether you are taking the office of President, Governor, National Assembly or Chairman of Local Government, all public officers at the state or federal level swear to abide by the Code of Conduct provision in the constitution. If you are taking office, the CCB will give you a form to fill declaring your assets. If you declare your assets, every four years, you renew that declaration. If anything turns up before the four years, you will revisit that declaration. If there is any problem about you declaring, they will ask you and then you react. If they think it is necessary, they refer you to the CCT. The CCT is not a court, it is a disciplinarian body that disciplines those who are working at both the federal and state level. So, technically, the CCT has no jurisdiction over those who are not public servants. Public servants are those listed under Part 2 of the Schedule, starting with the President down to the Councillor. It means therefore that you are not protected by the immunity which Section 308 of the Constitution grants to the President, Vice-President, Governors and Deputy Governors. There is however a proviso. The protection by immunity is during the period of office when they are performing the functions of the office. No court can try these four persons during that period. But you can be investigated and when you are investigated, there are two bodies that will deal with you, that is the House of Assembly in the case of the governor and the National Assembly in the case of the President through a process called impeachment. Then the other body is the CCB and the CCT. Your own functions are in Schedule 7 when you take the oath of office. Before you assume office, you take the oath of allegiance to the constitution of Nigeria and then the oath of office. The President, Vice-President, Governors and Deputies, Ministers and lawmakers all take the oath of allegiance where what they are supposed to do is spelled out. There is nowhere in that oath of office where it is said that you will be corrupt or be a money launderer. So, if you look at it, the immunity clause does not protect anyone who is corrupt because corruption or money laundering are not functions of an office. So, if I were the CJN since I have agreed that there was something wrong in my filling of forms which calls my integrity to question, I will resign. I put all the blame on the CJN. As far as I am concerned, since he has accepted that there is an irregularity in his filling of forms, let him save us all the trouble by resigning or stepping aside. But looking at his records, he has shown to the average person that he is a loser and unfortunate nuisance. Obasanjo is a national nuisance. To him, there is no other person apart from Obasanjo. He is very active but wants to continue to be in power when he is no longer in power.